Beachcombers Hotel, St Vincent and the Grenadines. PANCAP convened the 27th Meeting of the Executive Board today at the Beachcombers Hotel, St Vincent and the Grenadines. The meeting assessed the Partnership’s progress towards the elimination of mother-to-child transmission of HIV and Syphilis (EMTCT) and the UNAIDS 90-90-90 targets – 90 percent of people living with HIV know they have the virus, 90 percent of those who know they are infected to receive sustainable antiretroviral treatment, and 90 percent of those people on treatment to have sustainable suppression of their virus by 2020. The meeting also reflected on PANCAP’s achievements; Sharpest regional reduction in HIV incidence by 48.1%; Decline in AIDS-related deaths by 55%; Antiretroviral coverage increased to 52% from less than 5% of the eligible population in 2001; Virtual elimination of mother-to-child transmission of HIV. 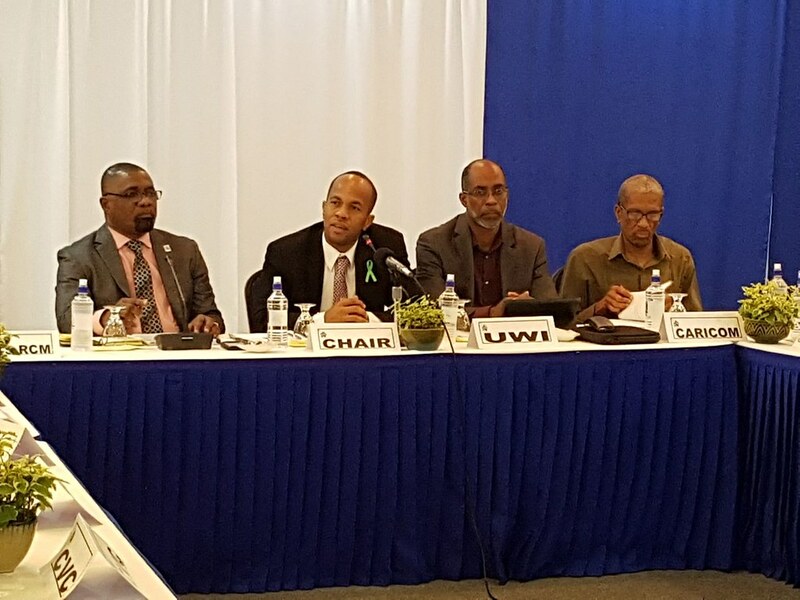 The Executive Board discussed the recent findings of the assessment of PANCAP and CARICOM Council of Human and Social Development (COHSOD), Ministers of Health endorsement of the Board’s decision to pursue Option 2: Streamline and Refocus of the three options identified by the assessment. Specifically, the Board will discuss and agree on the approach to streamlining and refocusing. The meeting received the financial report and updates from the PANCAP Coordinating Unit, Caribbean Vulnerable Communities Coalition (CVC) Centro de Orientacion e Investigacion Integral (COIN) and the OECS Global Fund grants, CARICOM Youth Ambassadors and the Caribbean Network of People Living with HIV and AIDS. Members will also identify the gaps and priorities for greater focus over the next year.